LULAC’s goal is to provide immigrant integration services to immigrants who have limited access to support systems and services. La meta de LULAC es proveer servicios de integración de inmigrantes que tienen un acceso limitado a servicios y sistemas de apoyo. Pedro Alarcon underwent the process to obtain his residency after he had gone with several lawyers that told him he could not apply for residency. His case was reviewed and it worked out accordingly, he was able to obtain his residency in a record time of 4 months. Pedro Alarcon se le tramito su ajuste para su residencia, despues de ir donde varios abogados que le decian que no podia aplicar para su ajuste. Se analizo su caso y todo salio favorable con su ajuste , obteniendo ya su residencia en tiempo record de 4 meses. Throughout our country's history, immigrants have contributed immensely to our culture, our economy, our defense and our national pride. Almost all citizens of the United States are immigrants or the descendants of immigrants and each new generation of immigrants has reinvigorated our nation with the values and work ethic that has made America great. Our common experience has demonstrated that immigration is good for America, whether your ancestors arrived before the Declaration of Independence or just a generation ago. Through a generous grant from the Walmart Foundation, LULAC in partnership with the Hispanic Federation (HF) has launched the Hispanic Immigrant Integration Project (HIIP). HIIP seeks to increase the availability of immigrant integration assistance programs available to low-income, immigrant, Spanish-dominant and otherwise underserved Latinos living in Arizona, California, Indiana, and Texas. 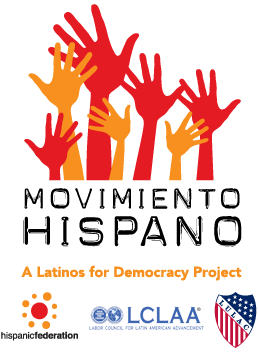 Click here to download the Hispanic Immigrant Integration Project Request for Proposal kit (PDF (online fillable format) HIIP seeks to provide immigrant integration assistance programs to low-income, immigrant, Spanish-dominant and otherwise underserved Latinos living in Arizona, California, Indiana, and Texas. If you intend to apply for the program, please email Sindy Benavides, National Director of Civic Engagement, here with the name of your organization, LULAC Council number (if applicable), address, contact person, title, email address, and phone number. If you have any questions, please feel free to call or email Sindy Benavides at SBenavides@LULAC.org or 202-833-6130.